If you want to experience the best backcountry fishing from Key Largo for Tarpon, Snook, Redfish and Trout, then book a fishing charter from Key Largo on Wet Dog Fishing Charters today. Located near mile marker 104 in Key Largo, Wet Dog Charters is just 20 minutes from Islamorada, an hour from Miami and two hours north of Key West. You can also expect to encounter shallow water Grouper, Barracuda, Sharks, Black Drum and the ever popular Jack Crevalle. Although the seasons change, there are always one or more of the above fishes biting. Just let Captain Terry know of your preferences and he will do all he can to put you on the fish you desire. You will be fishing out of Key Largo and the waters all the way to the west coast of Florida. For the geographically enlightened, that would be East Cape. Located in the heart of the best sport fishing in the world, Wet Dog Charters offers a first class charter fishing experience with top quality fishing equipment and boats. Captain Terry operates a 22’ tournament equipped Pathfinder bay boat manufactured by the Maverick Boat Company. This bay boat can accommodate as many as four (4) anglers in a pinch. A better experience would be to charter two boats - which can be easily arranged. 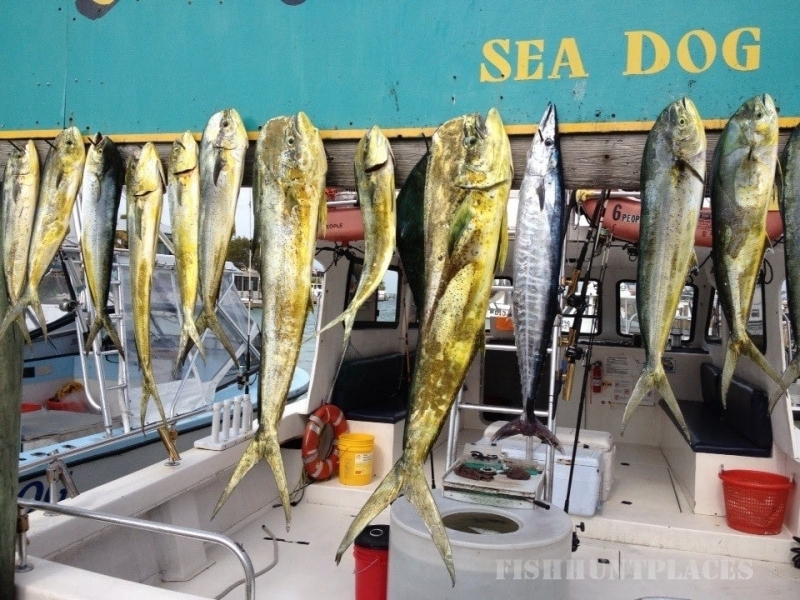 When you book a fishing charter with Wet Dog Charters, you will not need to experience the delay of catching bait in the first hour or two of your trip. Live bait and Artificals will be on board prior to meeting you. About Capt. Terry... Captain Terry is an IGFA Certified; USCG licensed master charter boat captain specializing in backcountry fishing guided trips in the Florida Keys including the Everglades National Park. Captain Terry is a member of the Florida Guides Association and the Key Largo Fishing Guides Association. Captain Terry enjoys guiding everyone from beginners to the most experienced anglers. He is most happy to teach the techniques necessary to catch any of the many species of fish found in the Florida Keys. Captain Terry has been on the water from age one when his parents owned a fishing resort in Minocqua, Wisconsin. He has been fishing the Florida Keys since 1990.